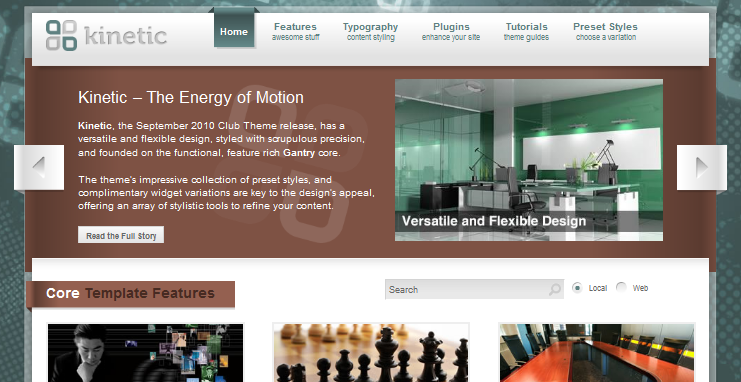 March 1st in Premium Themes by Wordpress Jedi . WordPress is used by millions of bloggers and business owners around the globe. The platform is second to none when it comes to managing content. It makes creating new portals and blogs a whole lot easier. If you are planning to bring your business online, you may as well invest in an attractive WordPress theme to connect with your prospects more effectively. Kinentic is a CMS WordPress theme that lets you bring your portal online in an attractive fashion. Kinetic is designed strategically to give you a better chance to promote the goods and services that your business has to offer. The home page not only offers a dynamic experience to your visitors, it is highly to customize too. 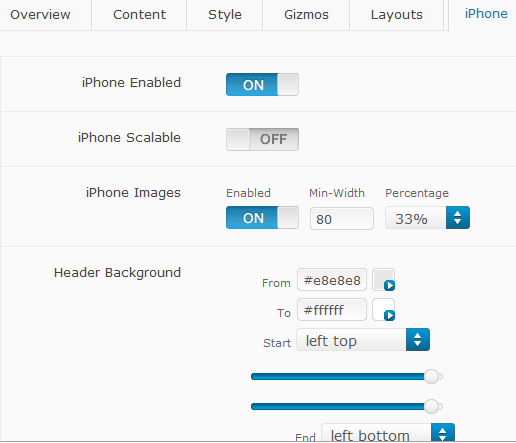 This theme’s options page is one of the most powerful ones we have seen. It gives you the opportunity to customize the behavior of your theme to your heart’s desire. 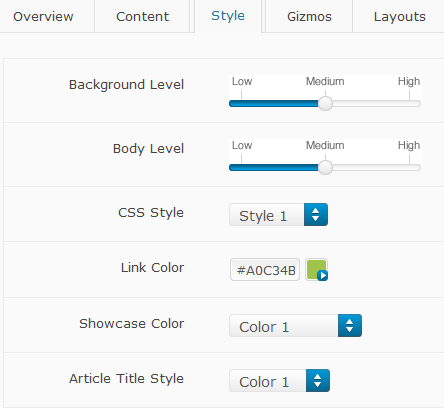 If you decide to pick up this theme, you can use the options page to optimize how your website will look like. You have the option to turn features on and off as they apply to your business needs. Turning off your meta information from the content tab takes only a click or two. Kinetic has 8 color styles for users to choose from. They can change the way their links, titles, and showcase section looks from the options page. Kinetic has a fully customizable layout and is iPhone friendly as well. This theme has 20 widget variations and over 60 widget positions. I love the fact that one can create custom overrides in the backend. If you have changed things around and don’t remember how you got there, you can reset your theme’s settings. Kinetic is based on Gantry Framework, which is why it is so easy to customize and makes a great investment. Installing it is quite easy too. The developers provide you with a fresh WordPress install with all the plugins and code you need to get started. Already have a website? You can just download the theme, the framework, and the plugins to get started with Kinetic. 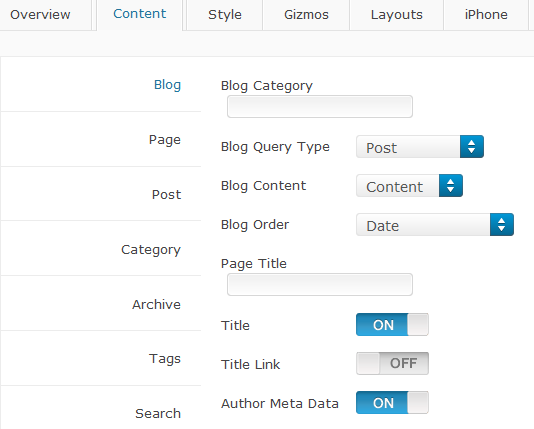 Overall, a very dynamic theme for content portals.